Recycling is the best way to reduce solid waste and it's at the core of what we do at Cabarrus County Waste Reduction. While every municipalities in the county offer curbside recycling programs, we provide supplemental recycling services and waste reduction programs to all County residents. These services include drop-off recycling for items not collected at curbside, such as batteries and tires; household hazardous waste disposal for paint, pesticides and electronics and waste reduction education on topics such as composting and reuse. Recyling is a key activity that supports our commitment to sustainability. This only truly works when residents of the County are partners in the process. We encourage all our residents to use local recycling programs and buy products made from recycled materials as much as possible. 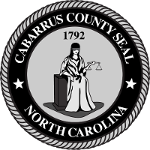 Residents in the cities of Concord and Kannapolis and the unincorporated areas of Cabarrus County now have access to a new waste collection calendar and reminder system. The same platform includes a Waste Wizard, which provides information on how materials can be reused, recycled, composted or disposed of within their community. Download the CabConKan CARTology app from the Apple store (iOS) or the Google Play Store (Android). From there you can learn how to dispose of items, view your collection calendar and receive notifications. For more information, contact us by e-mail at recycle@cabarruscounty.us or by phone at 704-920-3278. HOURS: Monday through Friday from 8 a.m. to 5 p.m. and Saturday from 8 a.m. to 2 p.m.